Believers For Christ: What Does The Holy Spirit Do? 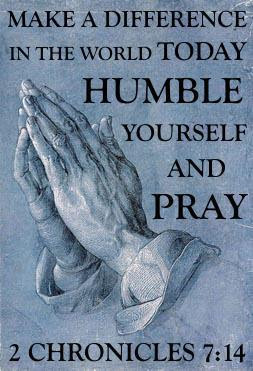 #1 The Holy Spirit helps us when we pray. And the Holy Spirit helps us in our weakness. For example, we don’t know what God wants us to pray for. But the Holy Spirit prays for us with groanings that cannot be expressed in words. The Holy Spirit helps us to pray when we don’t know how to pray. He is a helper. #2 The Holy Spirit guides us. When the Spirit of truth comes, he will guide you into all truth. He will not speak on his own but will tell you what he has heard. He will tell you about the future. 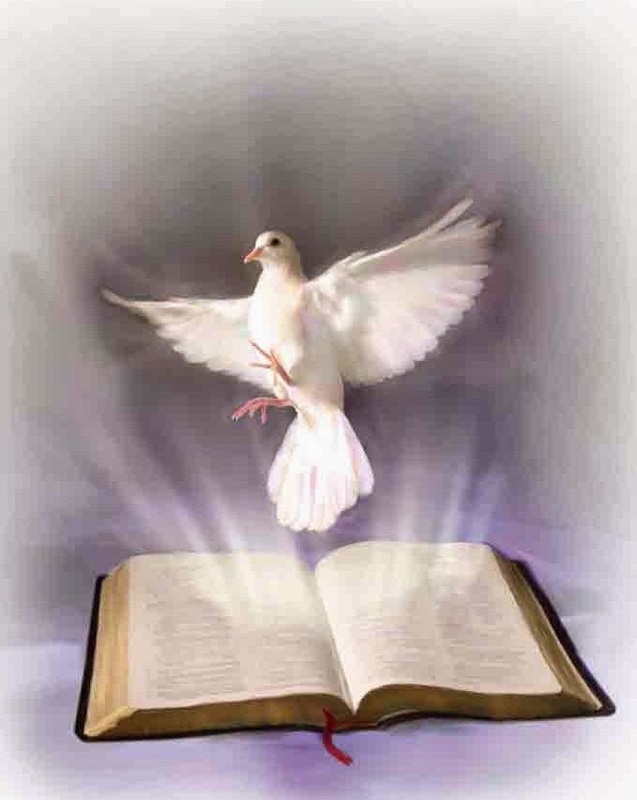 The Holy Spirit is our present day guide on this earth. Not only does He guide us in learning the truth of the scriptures but He guides us on the application of those truths in our journey. #3 The Holy Spirit teaches us. But when the Father sends the Advocate as my representative – that is, the Holy Spirit – he will teach you everything and will remind you of everything I have told you. It is one thing to hear the words of Jesus, it is another to know how to apply them. The Holy Spirit teaches us how to walk like Jesus walked. #4 The Holy Spirit speaks to us. “Anyone with ears to hear must listen to the Spirit and understand what he is saying to the churches. To everyone who is victorious I will give fruit from the tree of life in the paradise of God. #5 The Spirit of God reveals things to us. There are things about God that seem to be mysterious. The Holy Spirit reveals to us why God does some of the things He does. #6 The Holy Spirit gives us personal instructions. The Holy Spirit not only teaches us how to apply the scriptures but there are times when He gives personal instructions on what we are to do in our everyday lives. #7 The Holy Spirit testifies about Jesus. “But I will send you the Advocate – the Spirit of truth. He will come to you from the Father and will testify all about me. The Holy Spirit and the works that He does bears direct testimony as to the reality and divinity of Jesus. #8 The Holy Spirit encourages us. The Holy Spirit is the one that encourages us in our faith. When we are encouraged then the church is strengthened and it grows. #9 The Holy Spirit calls us for service. The Holy Spirit is the one who chooses men and women to special work in the kingdom of God. He is the one that calls them, not men. #10 The Holy Spirit fills us with boldness. After this prayer, the meeting place shook, and they were all filled with the Holy Spirit. Then they preached the word of God with boldness. When we are faced with trials and persecution, the Holy Spirit fills us with Himself and gives us boldness to face what we are up against. #11 The Holy Spirit gives us inner strength. When your faith is lagging or you are just worn out spiritually, the Holy Spirit is the one that will give you inner strength. #12 The Holy Spirit prays for us. Not only does the Holy Spirit help us when we are weak, but He prays for us as well. #13 The Holy Spirit confirms things as true. With Christ as my witness, I speak with utter truthfulness. My conscience and the Holy Spirit confirm it. The Holy Spirit confirms that what we are saying and doing is truthful. He confirms the truths. #14 The Holy Spirit brings joy. So you received the message with joy from the Holy Spirit in spite of the severe suffering it brought you. In this way, you imitated both us and the Lord. The Holy Spirit brings us the joy of the Lord. That joy is our strength and so we need the Holy Spirit today. #15 The Spirit of the Lord brings freedom. The Spirit of God breaks bondages and sets us free. He gives us the ability to be free in how we live and worship. #16 The Holy Spirit helps us be obedient. The Holy Spirit helps us live a life that is willing to be obedient to the truth of the scriptures. He gives us both the willingness to obey and the power to carry out that obedience. #17 The Holy Spirit calls for the return of Jesus. And the Spirit and h the bride say, “Come!” And let him who hears say, “Come!” And let him who thirsts come. Whoever desires, let him take the water of life freely. The Holy Spirit, along with the church, yearns and calls out for Jesus to return again. #18 The Holy Spirit transforms us into the image of Jesus. The Holy Spirit is the one who changes and transforms who we started off being into the image of Jesus. #19 The Holy Spirit lives on the inside of us. Do you not know that you are the temple of God and that the Spirit of God dwells in you? The Holy Spirit not only dwells in the church but He dwells on the inside of every born again Christian. #20 The Holy Spirit frees us from the power of sin. And because you belong to him, the power of the life-giving Spirit has freed you from the power of sin that leads to death. The Holy Spirit has freed us from the power of sin that made us spiritually dead thus separating us from God. #21 The Holy Spirit gives us a new life. He saved us, not because of the righteous things we had done, but because of his mercy. He washed away our sins, giving us a new birth and new life through the Holy Spirit. #22 The Holy Spirit produces fruit in our lives. But the Holy Spirit produces this kind of fruit in our lives: love, joy, peace, patience, kindness, goodness, faithfulness, 23 gentleness, and self-control. There is no law against these things! The Holy Spirit produces the fruit in our lives. The good things we have as character traits are produced by Him. #23 The Holy Spirit gives us gifts. There are different kinds of spiritual gifts, but the same Spirit is the source of them all. The Holy Spirit gives us gifts to be able to help and encourage others and to show that God is still at work in the lives of people. #24 The Holy Spirit leads us. The Holy Spirit is the one who gives us direction and guidance for our journey here on earth. #25 The Holy Spirit convicts the world of sin. And when he comes, he will convict the world of its sin, and of God’s righteousness, and of the coming judgment. Every human knows they are a sinner. Those that have come to Jesus have had the Holy Spirit convict them of that sin and they have accepted the offer of Jesus to take the penalty for that sin from them. #26 The Holy Spirit brings salvation and holiness. As for us, we can’t help but thank God for you, dear brothers and sisters loved by the Lord. We are always thankful that God chose you to be among the first to experience salvation – a salvation that came through the Spirit who makes you holy and through your belief in the truth. The Holy Spirit is the one that brought salvation to you. It was paid for by Jesus but it was activated by the Holy Spirit. He is also the one that makes you holy or set apart to God. The Holy Spirit gives us supernatural power to be witnesses of the reality and goodness of Jesus in all the earth. #28 The Holy Spirit identifies us as God’s own. And now you Gentiles have also heard the truth, the Good News that God saves you. And when you believed in Christ, he identified you as his own by giving you the Holy Spirit, whom he promised long ago. The Holy Spirit is the evidence that you have been identified as God’s own. When you have the Holy Spirit in your life, it shows beyond a shadow of a doubt, that you are Gods child. #29 The Holy Spirit gives us access to the Father. The Holy Spirit is the avenue or conduit that we use to have access to the Father to develop relationship with our heavenly Father. #30 The Holy Spirit enables us to wait for the fulfilment of God’s promise. But we who live by the Spirit eagerly wait to receive by faith the righteousness God has promised to us. God has given us many promises including the promise that one day we will be totally righteous. It is the Holy Spirit that enables us to wait for these promises. This collection is from Duke Tabor and has been modified for God's purposes here. Click THIS LINK to view the original.